Smaller dwellings aren't just about saving money; they're also about sustainable living, innovative thinking and efficiency. Whether you choose to reside in a tiny home, or are positioned in one out of necessity, there are plenty of ways you can ensure your residence works for you and provides a comfortable domestic space. 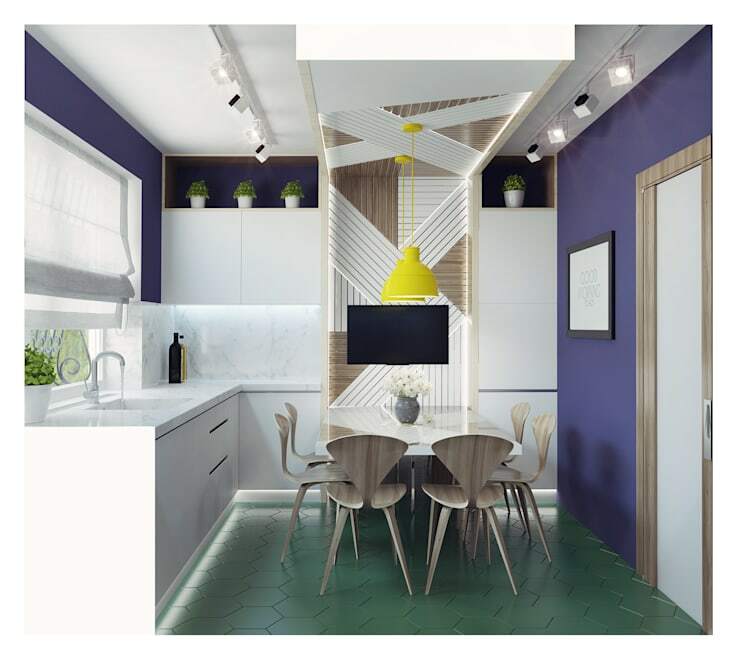 Today on homify we're going to look at 13 small dwellings that offer brilliant multifunctional rooms. Let's face it, if you're somewhat lacking in the space department, you're going to need to get creative. Multifunctional and multipurpose interior areas satisfy that directive, while boosting your domestic comfort and freedom. 1. 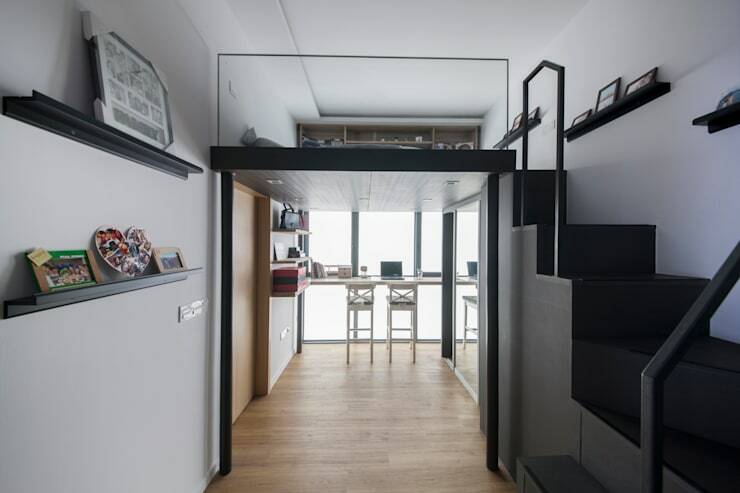 This incredible apartment offers a workspace, living area and bedroom all in one. 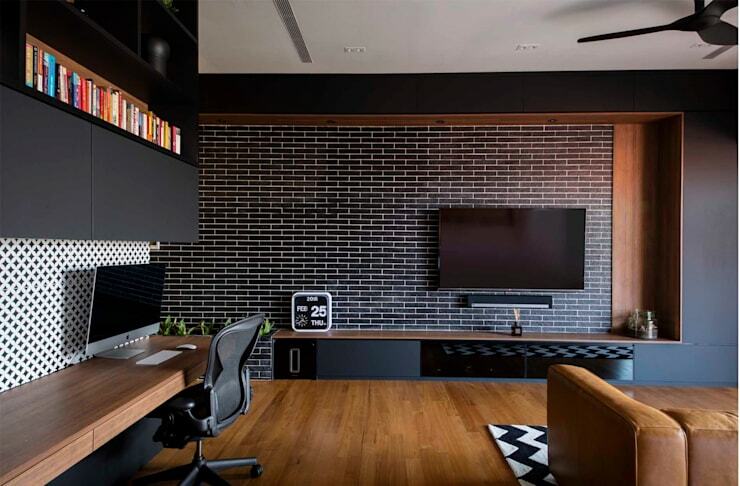 By utilising the wall space, the different zones work in harmony and avoid feeling cramped. 2. This 102 m² is only 7 metres wide, yet proves that will a little ingenuity your space can feel much larger and highly liveable. 3. 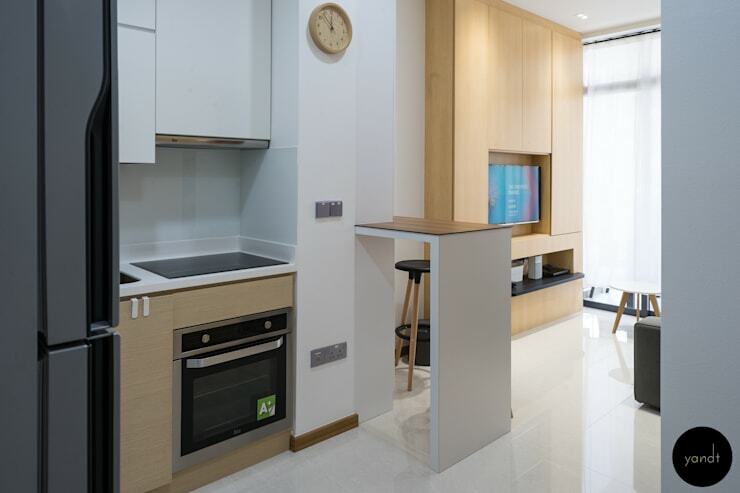 Next up we take a peek at a compact kitchen that employs a dining room within it. This is sleek, chic and wonderfully sophisticated, yet saves space with ease! 4. Living in a narrow home definitely has its drawbacks. This residence employs customised joinery against the wall to offer a kitchen, workspace and plenty of storage. 5. No room for your bed? 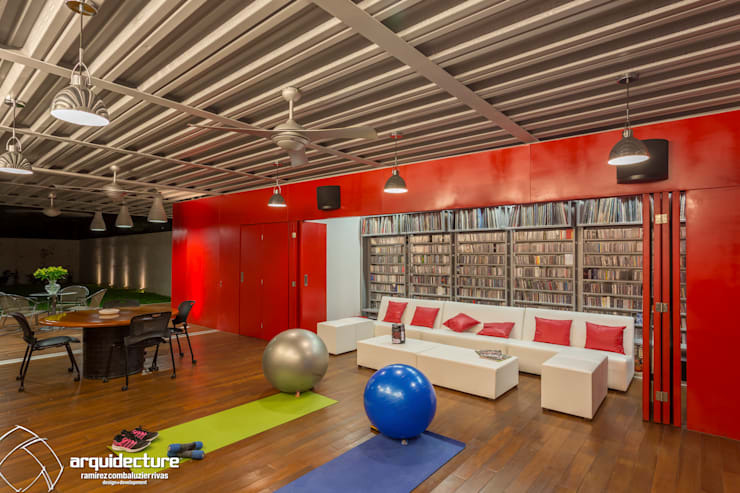 Add a loft sleeping platform to ensure the rest of the space can be employed in other ways—such as a workspace, playroom or living area. 6. Bespoke joinery is often one of the best ways to keep your multifunctional room sleek and uncomplicated. 7. Reconsider your storage options. 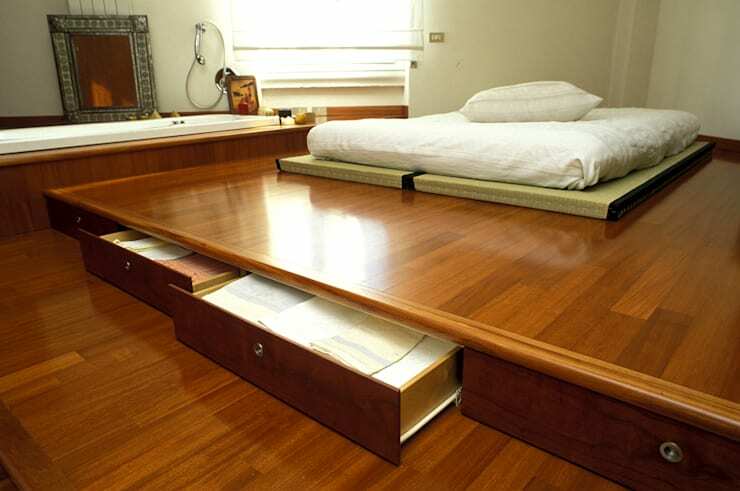 This sleeping platform offers underneath drawers for linen and other bedroom necessities. 8. 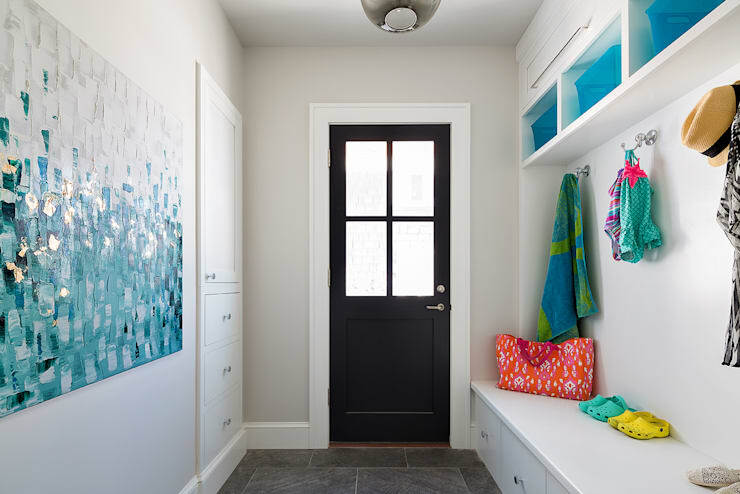 Your entrance is more than simply a space to enter and exit—it's actually a fabulous space that can offer storage for your commonly used garments, and other domestic miscellany. 9. 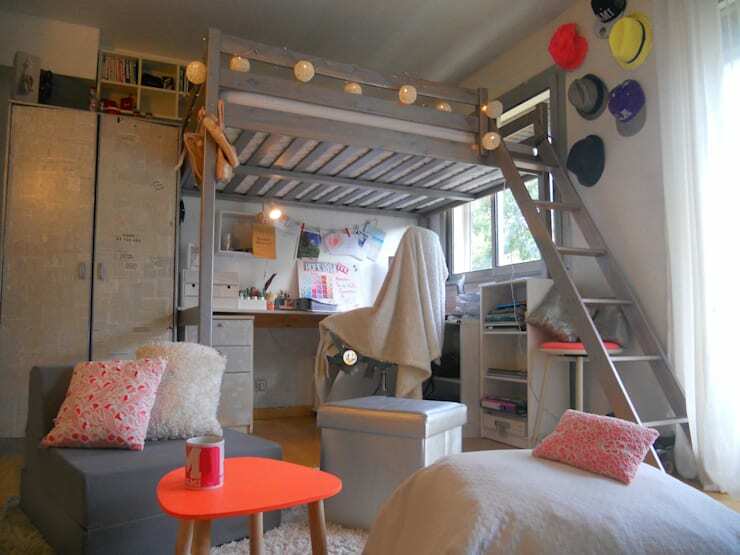 Another fabulous loft bed, this bedroom ensures its occupant has ample room to work, live and sleep in style. 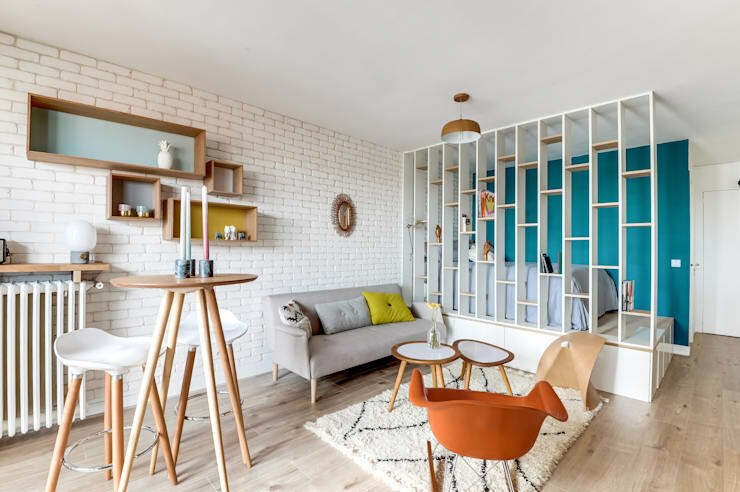 If you need assistance creating your tiny home—find a professional via homify! 10. 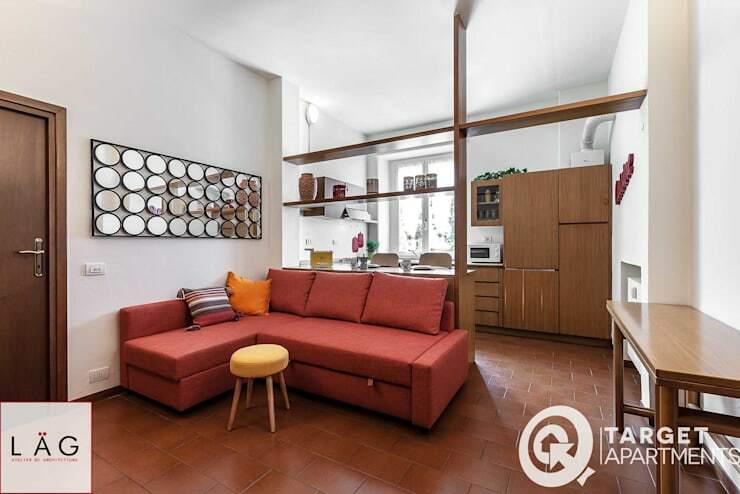 A true multifunctional room, this studio apartment houses everything one might need in a truly compact space. 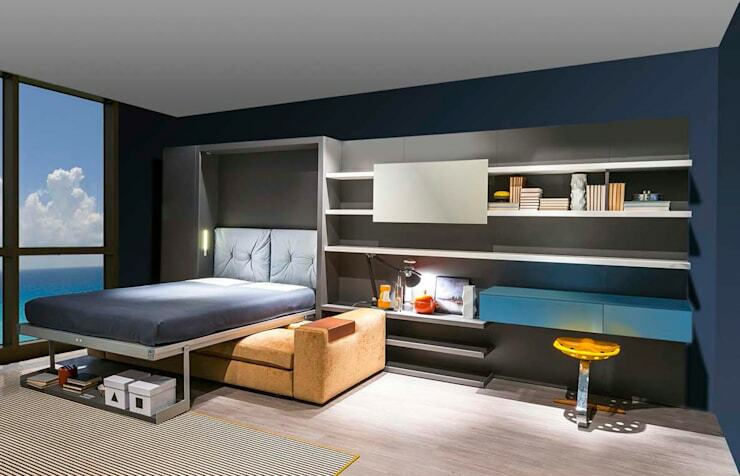 The bedroom is divided using a two-wall shelf, which adds privacy without sacrificing spaciousness. 11. In this small apartment, the designers have opted for modular furniture that fits the space seamlessly. Additionally, the kitchen dining space is located within the cooking area, boosting the living room's functionality. 12. Foldable furniture has come a long way in recent years, and now offers the perfect multifunction items that will save you space and look excellent too! 13. 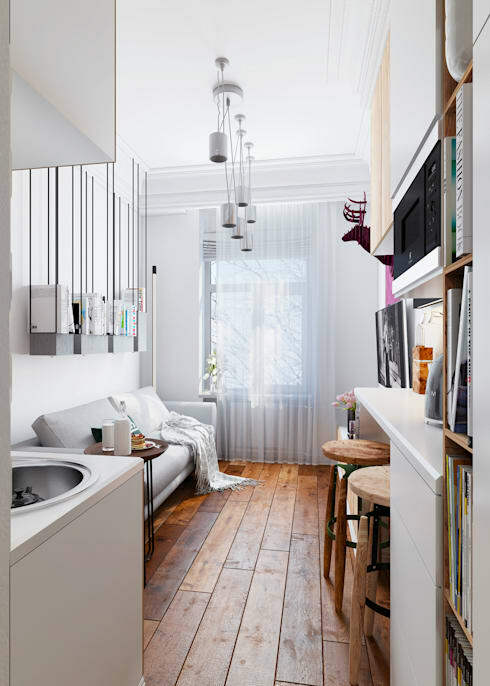 In this ultra-tiny apartment, the dining and living work hand in hand, while the storage is contained stylishly against the walls. Did you see anything that would assist your small home? Let us know below!